Scunthorpe’s slide down the table has been almost relentless since November. The Iron have lost eight of their last nine games in the league and will have their work cut out to get another win against Burnley who are 11/10 favourites in the Championship betting. Scunthorpe are currently just one place off bottom of the table and four points from safety, while Burnley are comfortable in tenth, just six points off the play-off places. 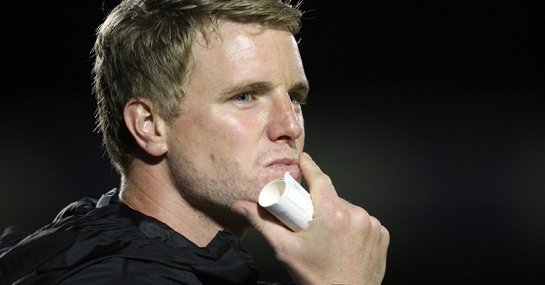 Despite their stable position, Burnley dispensed with the services of Brian Laws and now have Eddie Howe in charge. Howe takes charge of Burnley for the first time in this clash and his new charges should be able to build on a decent performance against QPR that saw them hold the Championship leaders to a stalemate. The Iron did however beat Burnley 2-0 earlier in the season at Turf Moor, so Howe’s men shouldn’t have things all their own way. The Clarets have kept just one clean sheet in their last 11 away games, while Scunthorpe have shipped 22 goals in their last seven games at Glanford Park, so this could be a high-scoring game. Backing a win for Burnley at 11/10 and over 3.5 goals at 15/8 looks to be well worth a bet. A £25 stake on Burnley to win 3-2 would pay out £650. New customers can sign up here for a free £25 bet.